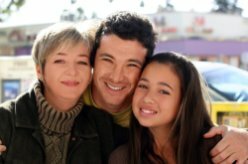 Teenagers typically do not realize the impact they have on their families. Disrespect, dishonesty, and sparse communication can leave your family hanging on their last thread. If your teenager is slowly falling into drugs, alcohol, gangs, violence, or a dangerous group of friends, the time to take action is now. Parent Help believes in families and wants to see yours succeed. If you would like to find out more about how to get your child back and save your family, contact one of our representatives click here today or let us contact you. Finding the help you need to take charge of your family can be costly, time consuming, and emotionally frustrating. Let Parent Help ease your stress and provide you the best advice from parents, just like you. By following three steps, you will be on your way to a happier family, a brighter future, and the chance to succeed your family deserves. Parent Help is dedicated to giving parents back the control they deserve. This step will help you seriously consider your teenager’s future. Get the information you need to choose a program that is going to work for your individual situation. We’ve done the research, you make the decision. Do not continue to support your teenager’s negative behavior. Instead, commit to invest in your teen’s future and we will help you find the financing you need to make it possible.